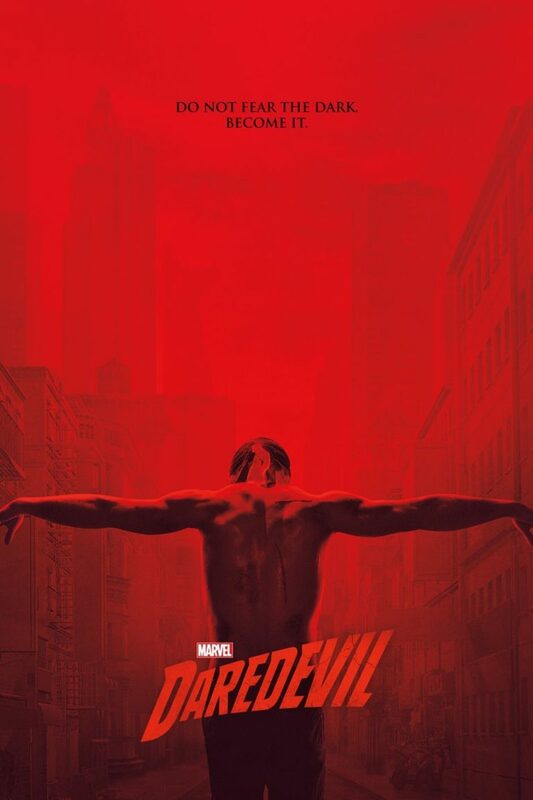 "Faith Eliminates Fear and Brings Forgiveness "
In the Season 3 finale of DAREDEVIL on Netflix IV, Matt Murdock aka Daredevil has reached the point where he feels he has to kill his arch nemesis, Wilson Fisk. The final episode of DAREDEVIL Season 3 is exciting and full of faith, with a strong Christian worldview promoting forgiveness. However, extreme caution is advised due to some extreme violence and foul language. In “A New Napkin,” the Season 3 finale of Netflix’s DAREDEVIL series, Matt Murdock aka Daredevil has reached the point where he feels he has to kill his arch nemesis Wilson Fisk. Over the course of the season, Fisk managed to negotiate a deal for himself to be released from prison, only to then blackmail and corrupt several FBI agents to work for him and his criminal organization. In the season finale, Matt’s lawyer friend Foggy and former journalist friend Karen Page have exhausted every chance to expose Fisk’s plan. However, when a deceased FBI agent leaves behind a video confessing his crimes with Fisk, Foggy and Karen have a new opportunity to stop Fisk, who’s preparing to marry the love of his life, Vanessa. Matt has given up on stopping Fisk the ethical way and has decided he’s going to kill Fisk and this violates everything he believes as a Catholic Christian. Matt is also able to convince one of Fisk’s men, the perfect marksman and psychotic killer Benjamin Poindexter, that Fisk killed a young woman Poindexter loved. During Fisk’s wedding, both Murdock and Poindexter show up to kill the man they hate. DAREDEVIL on Netflix is often exciting, though many episodes are too violent. What sets it apart from so many other shows is the Christian, Catholic faith with which Matt Murdock, the titular character, struggles. The very best episode that showcases this is “A New Napkin.” At the beginning of the season, Matt is angry at God and believes his only purpose and identity is to be the violent Daredevil hero, or maybe even an anti-hero who doesn’t abide by ethical limitations, like refusing to kill. Much of the season has Matt dialoguing with a priest and nun who were integral parts of his childhood. Later in the season, he discovers the nun is actually his mother who got pregnant during a period when she wanted a taste of the world’s pleasures. Eventually, [SPOILERS FOLLOW] Matt grows increasingly angry at the world around him, but in the final episode when he’s given the chance to kill Fisk, he refuses. The episode only becomes better when he also chooses to forgive those who wronged him, including his mother, the nun, who lied to him all these years about the true nature of their relationship. Because of his Christian faith, Matt was able to become a man without fear, and because of his faith again, he’s now able to forgive. The episode’s Christian, redemptive dialogue is some of the year’s best TV dialogue. It contains strong positive Christian messages promoting forgiveness, seeing God’s Plan and Providence in our lives however chaotic they may appear to be, redemption, and repentance. While the final episode has very strong Christian content, there is some very strong violence in DAREDEVIL that requires extreme caution. There are also two strong profanities in the final episode. DAREDEVIL is not appropriate for younger viewers. Corruption and blackmail by the villain. In the season 3 finale of DAREDEVIL on Netflix, titled “A New Napkin,” Matt Murdock aka Daredevil has reached the point where he has to kill his arch nemesis, Wilson Fisk. Over the course of the season, Fisk managed to negotiate for himself to be released from prison, only to blackmail several FBI agents to work for him. Matt’s lawyer friend, Foggy, and former journalist friend, Karen, have exhausted everything to expose Fisk’s schemes. However, when a deceased FBI agent leaves a video confessing his crimes with Fisk, Foggy and Karen have an opportunity to stop Fisk. DAREDEVIL is often exciting, though many episodes are too violent. What sets it apart from so many other shows is the Christian faith with which Matt Murdock, the titular hero, struggles. Because of his faith, he was able to become a man without fear, and because of his faith again, he’s able to forgive. The episode’s Christian, redemptive dialogue is some of the best TV dialogue. Extreme caution is advised for graphic violence and some strong foul language, however. DAREDEVIL is not for younger viewers.